Be sure to Subscribe to Craft Klatch on YouTube, so you don't miss a thing!!!! If you love Disney Princesses (and really who doesn't?) and Beauty and The Beast, check out how to make this Belle rose coaster DIY! 1. 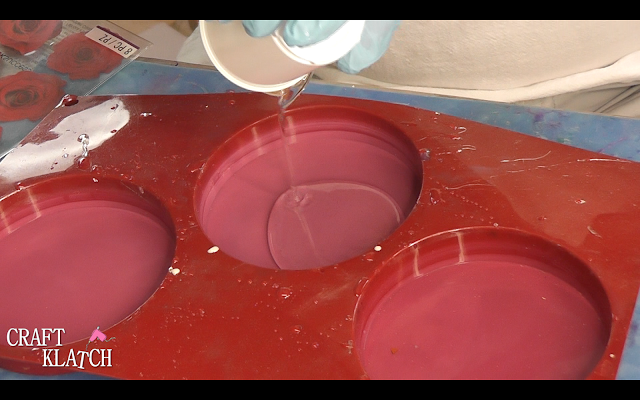 Mix one ounce of resin and pour it into the coaster mold. 2. Pop all the bubbles. 3. Cut a circle of the rose vellum paper and using the circle cutter. You want it set to just under four inches. 4. 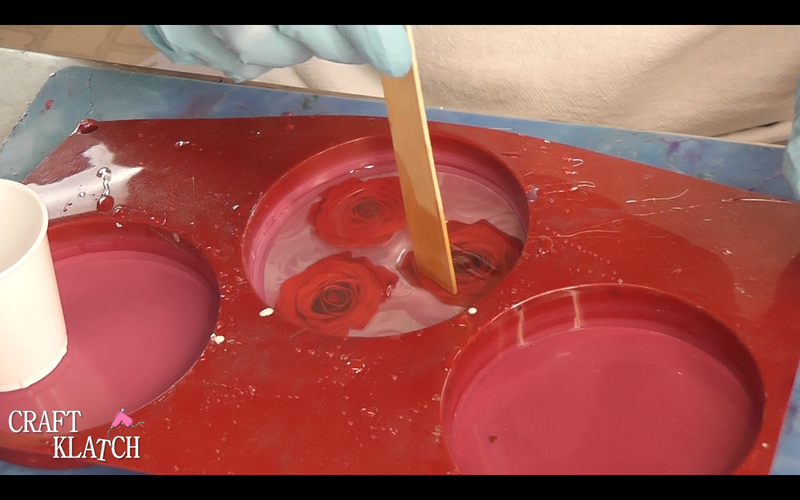 Slide the rose vellum paper into the resin and press down with your stir stick. You want to make sure there are no bubbles stuck under the vellum. 5. 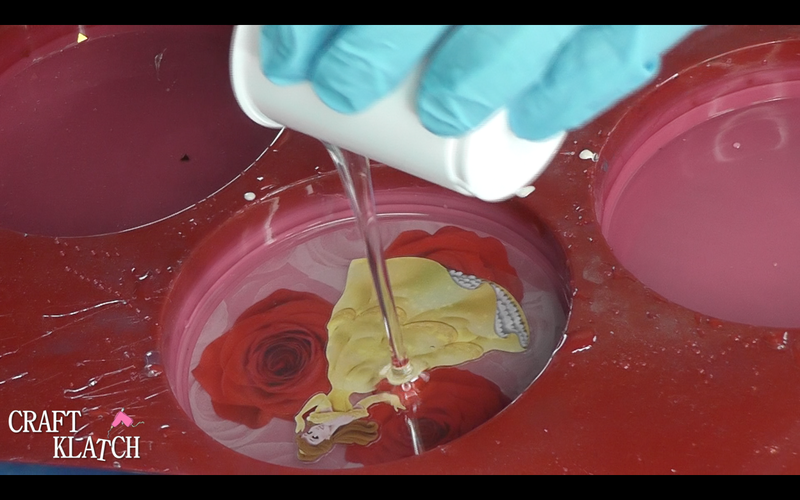 Then take your rose stickers and place them into the wet resin and press them down as well. Pop bubbles. 6. Allow to cure a minimum of 12 hours. 7. 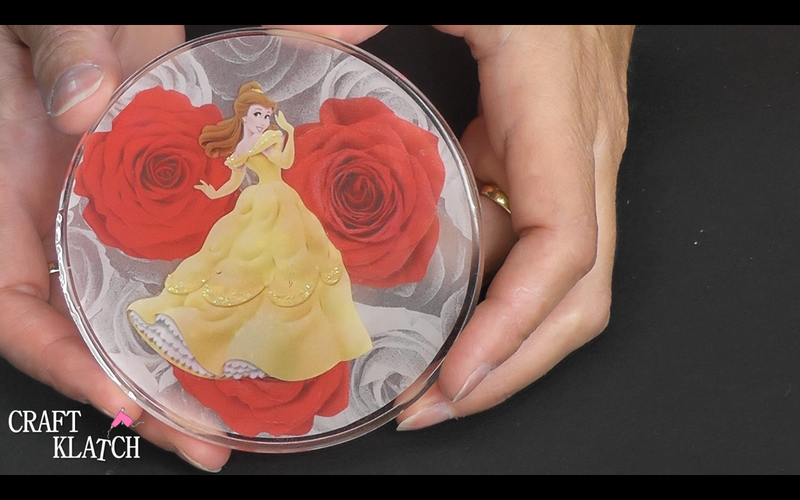 Place the Belle sticker onto the resin and rub it down. 8. 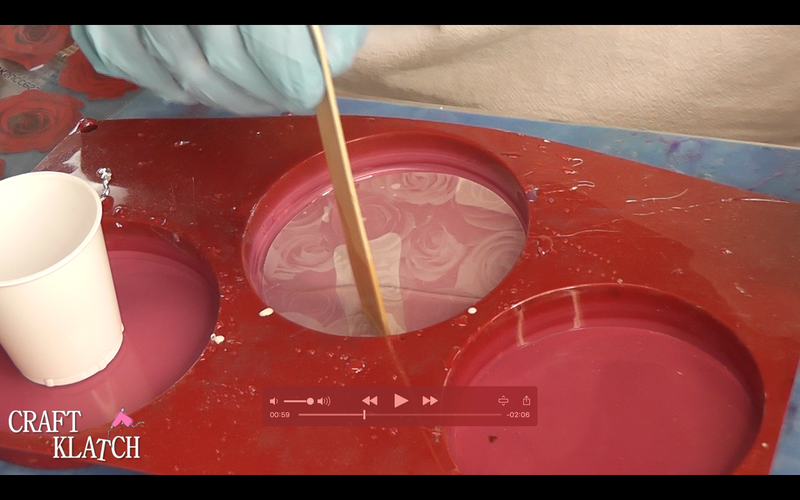 Mix one ounce of resin and pour it over the sticker. 9. Pop bubbles and allow to cure a minimum of 12 hours. 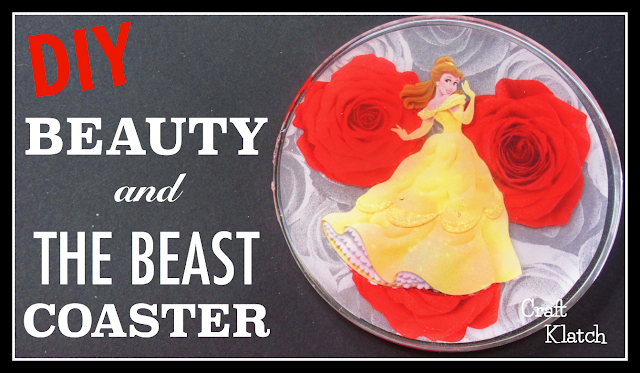 Now you can take it out of the mold and you have a beautiful coaster, or room decoration! I love your tutorials.I used the same princess stickers to do small resin earrings for little girls. thank you for the reply to this blog comment ! and also thanks for your sharing this topic ! 15 Fourth of July Crafts, DIY and Food Roundup!